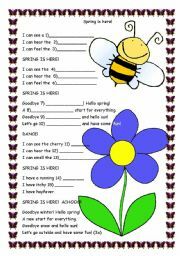 Students fill in the blanks with an appropriate question word and ask about underlined words in sentences. 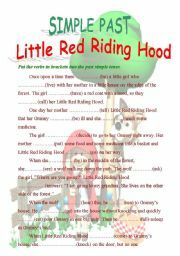 worksheet on SIMPLE PAST Pupils read the story of Little Red Riding Hood and complete the sentences with the simple past form of the verbs. Have a nice weekend! 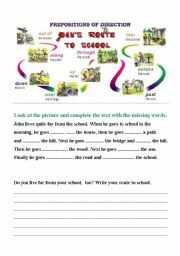 Pupils follow a boy�s route to school, fill in the text with the missing prepositions, then write their own route to school. /the pict. 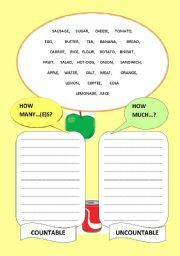 is taken from Basic English 1. resource material/ Have a nice day! 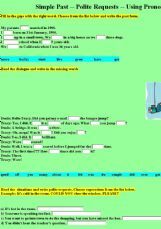 A lively, animated power point with lots of funny/surprising pictures to practise prepositions. The whole set (6 power points) contains 32 pages. 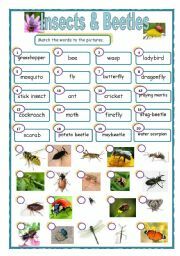 You can easily access all parts of it if you click on "see more contributions by Adryenn" I hope you and your students will like it! Have a wonderful day! 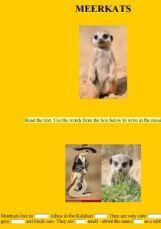 A lively, animated power point with lots of funny/surprising pictures to practise prepositions. 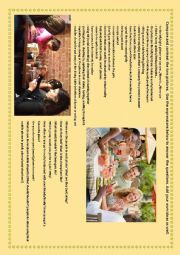 The whole set (6 power points) contains 32 pages. 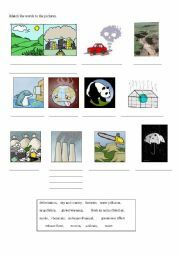 You can easily access all parts of it if you click on "see more contributions by Adryenn". 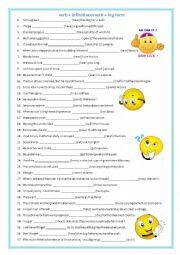 I hope you�ll like it! Have a wonderful day! 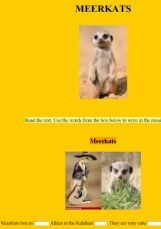 A lively, animated power point with lots of funny/surprising pictures to practise prepositions. 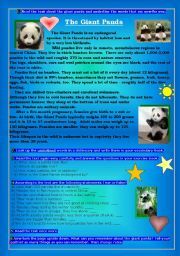 The whole set (6 ppt-s) contains 32 pages. 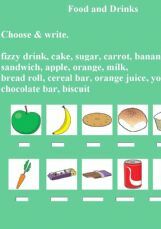 You can easily access all parts of it if you click on "see more contributions by Adryenn"
Easy choose and write exercise to practice food vocabulary.